Induline LW-722 [eco] confers wood-aluminium windows a pleasant, furniture-like feel and touch. The coating material is easy to apply both in one or multi-layer build-ups and makes the window practically maintenance-free. The transparent, water-based coating presents good flow properties and is UV-resistant and colourfast. 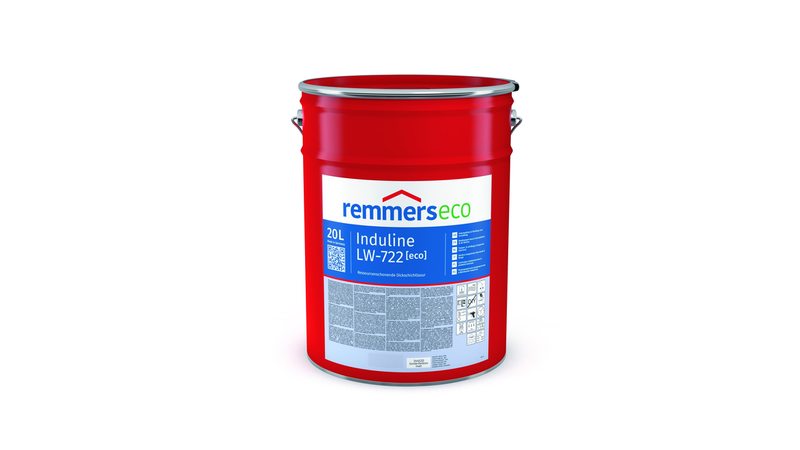 Induline LW-722 [eco] reduces grain emphasis and yellowing of the wood substrate. All in all with Induline LW-722 [eco] Remmers guarantees sustainability in the well-known quality. With this new technology no compromises with regard to quality must be made in comparison with conventional coating systems. At the same time Induline LW-722 [eco] presents excellent ecological properties, which additionally contribute to a healthier living climate. Thus, with regard to volatiles organic components (VOC), Induline LW-722 [eco] meets the requirement of RAL UZ 12a. This means that it can be used also for sustainable building (e.g. DGnB). Induline LW-722 [eco] is based on a balanced-biomass binding agent for the production of which all fossil raw materials have been replaced with renewable raw materials thereby reducing greenhouse gas emissions. It is part of the new [eco] product range. - Based on a balanced-biomass binding agent. 100% of the fossil raw materials have been replaced with renewable raw materials for the production of the binding agent.